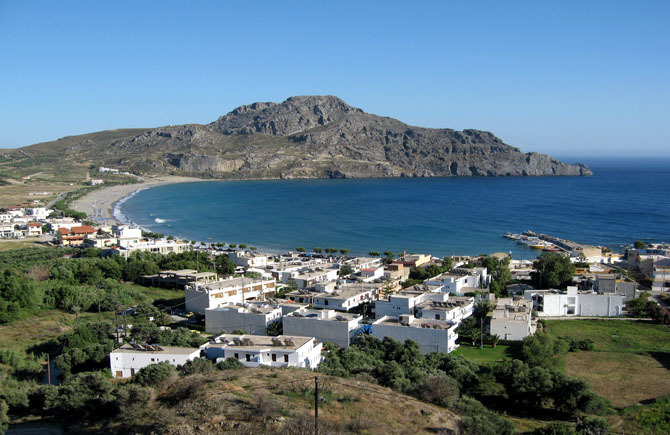 Plakias village is located 36 km south of the town of Rethymno (approximately 40 min. by car). It is built in the exit of a rich valley, surrounded by tall mountains and dense olive grove. Most of the houses are located near the small port of Plakias, surrounding the big arc-shaped bay. If you are fascinated by the panoramic view of the sea, you can visit the small village of Myrthios, up in the cliffs above Plakias, with an amazing view towards it. A panoramic view is also offered from Sellia, another small village near Plakias. 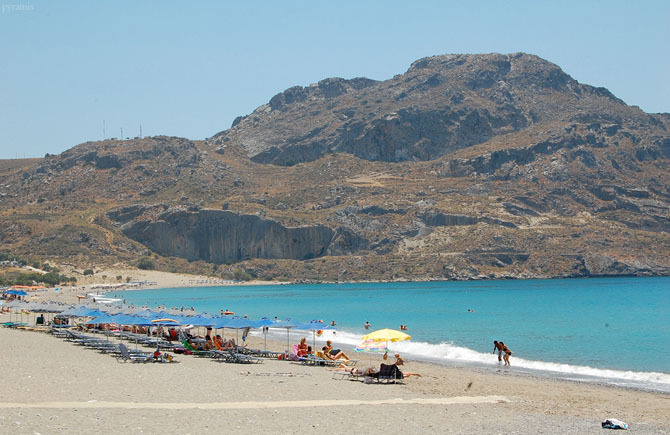 Visitors choose to spend their vacation in Plakias for the clear water sea and the many beautiful beaches in the area. The characteristic elements of Paligremnos are the nearby huge vertical rocks that rise over the beach.